To view 5 more pictures, interactive maps and the full, detailed description of the Balmoral community, please Login. Homes are still for sale in Balmoral! This beautiful townhome and condominium community is tucked away and has a delightfully open and woodsy feel for an attached home community. The community has a colorful playground, a shady walking trail, and is located in the heart of north Suffolk with easy access to Bridge Road, Harbour View and highway 664. Contact us today to learn about new homes for sale in Balmoral, as well as any resale listings of homes in Balmoral. 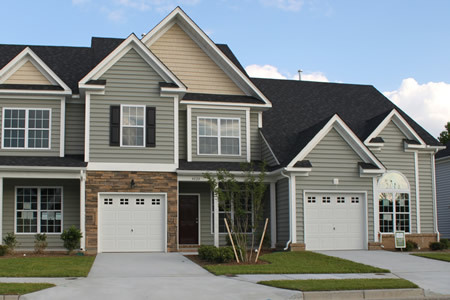 Send me more information about the Balmoral new home community. Our agents gladly offer FREE property tours of Balmoral, Suffolk and homebuyer consultations to all serious buyers.